The United Nations Environment Programme (UNEP) and the World Health Organization (WHO) have established the joint initiative Global Alliance to Eliminate Lead Paint (Lead Paint Alliance) to prevent children’s exposure to lead from paints containing lead and to minimize occupational exposures to lead paints. 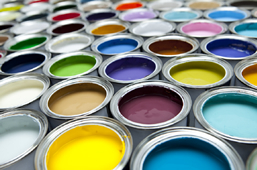 The broad objective is to promote a phase-out of the manufacture and sale of paints containing lead and eventually eliminate the risks from such paint. Furthermore, the Overall Orientation and Guidance for achieving the SAICM 2020 goal, in particular, has identified that SAICM stakeholders in countries where lead paint remains in use should continue their efforts to regulate lead in paints and reinforce those efforts as a key risk reduction achievement in line with the targets set out in the Global Alliance business plan. Governments, industry and civil society organizations in all regions are encouraged to organize related activities in cooperation with the Global Alliance. The Global Alliance to Eliminate Lead Paint is a voluntary partnership formed by UN Environment and the World Health Organization to prevent exposure to lead, while promoting the phase-out of paints containing lead. 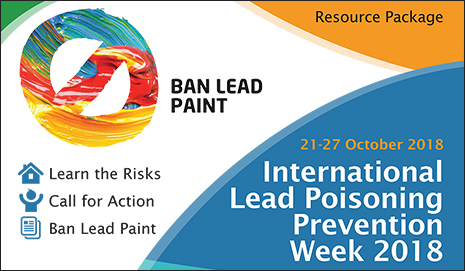 Every year, the Lead Paint Alliance organises the International Lead Poisoning Prevention Week to provide an opportunity for organizations and institutions around the world to focus attention on lead. The theme this year is the need for individuals, civil society organizations, industry and governments to work together to Ban Lead Paint.. The official website for the ILPPW is maintained by the World Health Organization.